he champion mare was given a dream run by Bowman, closing in on the leaders around the turn before edging up to the leader Benbatl and going away to win the weight-for-age classic. The Chris Waller-trained horse beat Benbatl, with Humidor — who nearly caused an upset over Winx in last year’s Cox Plate — finishing back in third. 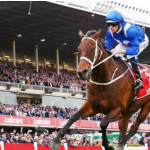 The win — with its $3 million first prize — took Winx’s career prize money to a staggering $22.8m. It also took her winning streak to 29 races, dating back to the Sunshine Coast Guineas in May 2015, and extended her record of Group One wins to 22. Bowman, who had made a star entrance at the racetrack in a helicopter, had a winning start to the day, riding Charge to victory in the Red Anchor Stakes. He then finished third on Libran in the Cox Plate curtain-raiser, the Moonee Valley Gold Cup. 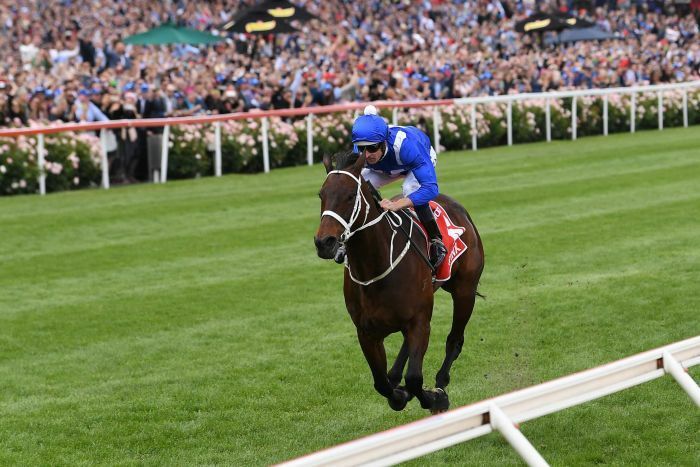 But the race that counted was the Cox Plate, and he could not have given Winx a better run. 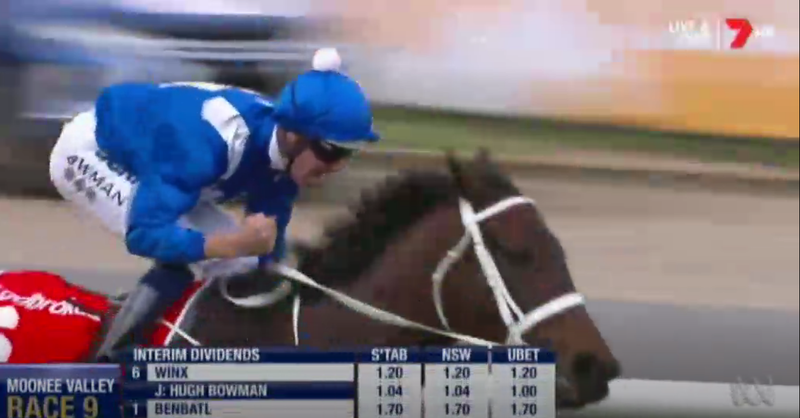 Winx had looked relaxed at the barriers before the race, and she was settled quickly in fourth or fifth behind early leaders D’argento and Benbatl. The early races on the card had shown horses struggling to win from behind, putting pressure on Winx to remain close to the leaders. At the 600m, she was still fifth, behind the Aidan O’Brien-trained Rostropovich, D’argento and Benbatl. Rounding the turn at the 350m, she cruised up and took over the lead before opening up in the closing stages to win easily by two lengths. “I am feeling emotional but the electricity that came through my body when I turned into the home straight just then was something that I guess I only get to feel — but everyone watching, oh I don’t know. I’m lost for words,” Bowman told Channel Seven. There were amazing scenes after the race, with a huge roar from the estimated crowd of 40,000 at the Valley as the mare came back to the yard. Waller was overcome by emotion after the race, struggling to find words to describe his joy at Winx’s unprecedented achievement. 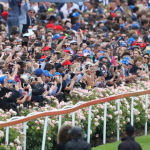 “To win any Cox Plate is great, it’s massive in our sport,” he said. “To have the following of Australia, the world, even the following of our staff, owners, Huey’s people — it really is something special. Waller said he was slightly concerned as the field went past the first time, thinking Winx was a little wide. “But it all worked out, she got cover, the speed wasn’t too strong,” he said. The only other horse to have won three Cox Plates was the T J Smith-trained Kingston Town, who won the race in 1980, 1981 and 1982.